Sold out 2019 – Smooth red skin on oblong to round sometimes netted tubers with medium deep eyes and light yellow flesh. Good storability. For best cooking results harvest tubers when mature, as late in the season as possible when the skins are well set. 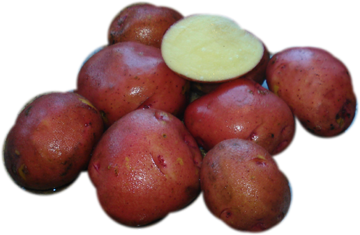 Smooth red skin on oblong to round sometimes netted tubers with medium deep eyes and light yellow flesh. Good storability. For best cooking results harvest tubers when mature, as late in the season as possible when the skins are well set.